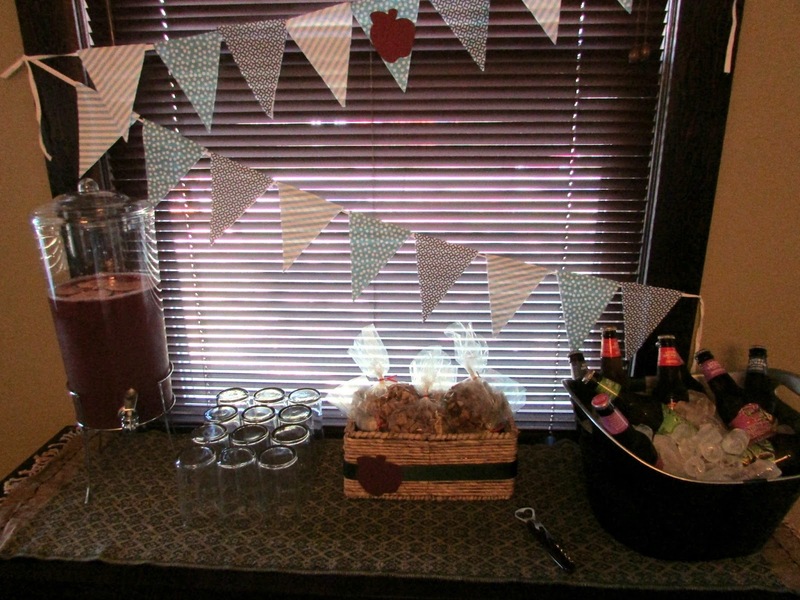 My first though for beverages for the apple shower was apple cider. We have an orchard on the edge of town that makes THE BEST cider. But, it isn't pasteurized and I wasn't sure if the mommies to be in attendance would want to drink it. So, I made this apple juice punch instead. I also made sure to have some hard ciders for those who wanted them. I thought for sure the guys would have all of the ciders gone before the day was done. They did drink some ciders, but they drank just as much punch! It was as pretty as it was delicious! 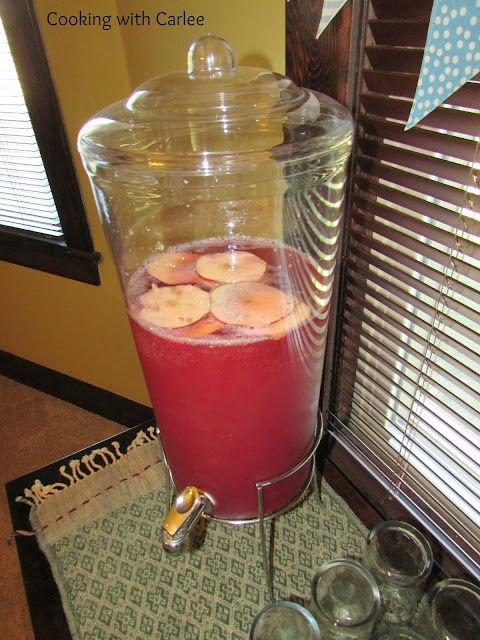 In a large punch bowl or drink dispenser, mix together cranberry juice, apple juice and orange juice. Slowly pour in ginger ale. Mix until combined. Slice apples on mandoline and float on top of punch. This sound delicious and I love that it is such a pretty color too! Thanks for sharing at the Tips & Tricks Linky and have a great week! Thank you! It did turn out pretty and all of the fruit juices worked great together. Thanks so much for stopping by! This looks SO delicious, I love punch, but have never heard of apple punch before (which is weird, I obviously go to all the wrong parties). I'll have to give this a shot! Thanks for sharing with the Wednesday Showcase! Too funny! We really enjoyed this one and it is made from mostly real fruit juice which is a nice change! What a delicious looking party punch! Thanks for sharing on Creative K Kids Tasty Tuesdays. I hope you will join us again next week. It was really good and pretty nutritious too! 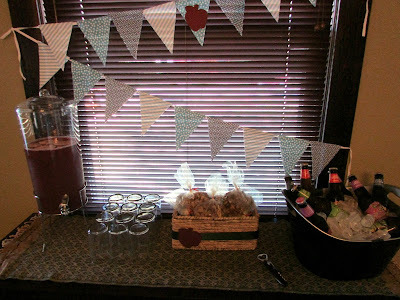 I love punch and it seems that not too many people serve it anymore. They just want single cocktails... Thanks for sharing with Saucy Saturdays and bringing punch back! I agree, bring it back! It still seems like a must at showers to me. Something about punch just says party! Thanks for hosting! Carlee, I love the apple twist, here! Thanks for bringing this over to Throwback Thursday - I'm one of the new co-hosts there, so I'm glad it led me to your blog! Thank you for hosting! It is so much fun getting to know new people through their blogs! We will really enjoy your Fall Apple Punch! Thanks so much for sharing with Full Plate Thursday and hope you have a great week. It did really make it beautiful and helped balance it all out! I'll be stopping by soon! Thanks Carole, I can't wait to see what everyone is posting for this one!